Enjoy a free sample of fresh grilled garlic scape at the Toronto Garlic Festival courtesy of Fiesta Farms. Garlic scapes are the soft, lime-green-colored stems and unopened flower buds of hard-neck garlic varieties. Scapes have a mild garlic flavor and a slight sweetness, which makes them a prized addition in the kitchen. You can find them in the early summer. 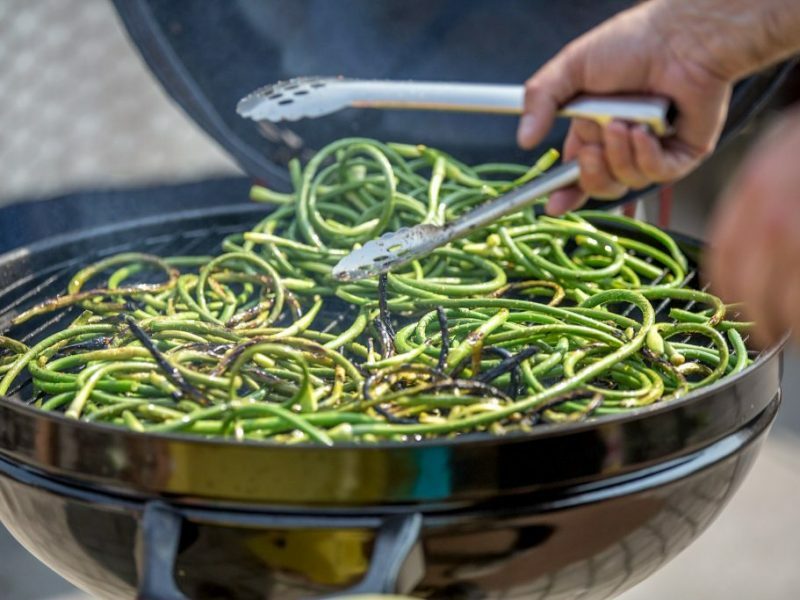 At the Fiesta Farms Garlic eScape BBQ grilled scapes are drizzled with olive oil, sea salt and lemon juice.